If the 27 Labour MPs who voted against Labour MP Margaret Beckett’s amendment calling for a second referendum had voted for it, it would have won (exactly reversing the numbers from a 268-295 defeat to a 295-268 win). if the 12 Labour MPs who voted against Ken Clarke’s “soft Brexit” customs-union amendment had voted for it, or even just abstained – as the SNP, Plaid Cymru and Lib Dems did because it didn’t protect EU citizens’ rights – it would have won by either 276-260 or 264-260. 10 MPs from the supposedly pro-Europe Independent Group, most of whom were formerly Labour, also voted against it, and could separately also have reversed the result by either voting for or abstaining. Let history record that the Labour Party could have stopped a no-deal Brexit if it wanted to, readers. That it chose not to is something for which it will have to answer to future generations as well as this one. Expert shot down the idea that the UK can trade immediately or without consequences with other countries. They cant in the short term it’s elf inflicted harm to industry. UK trades with EU for 47% of our exports that will not continue without difficulty. ‘BREXIT’S fate will now be decided by an extraordinary X Factor-style run-off of votes next week – between Theresa May’s deal, a soft Brexit and a second referendum. 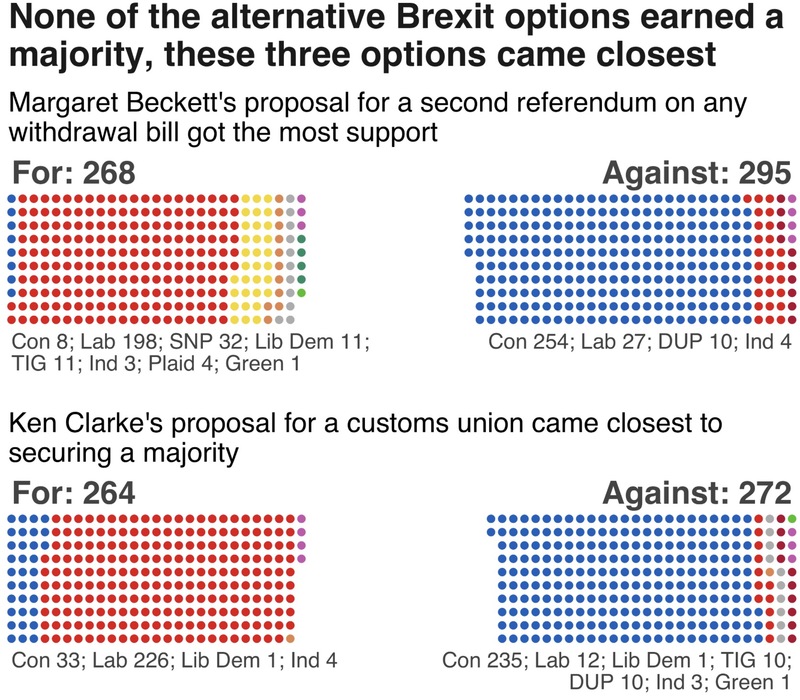 Bercow to rule on Monday only the top 3 options from last Wednesday ie WA plus CU and EUref2 and EEA and CU will be voted for again in the next round of indicative votes with amendments receiving lower support like No Deal and revoke Art 50 and straight EEA eliminated. Signed that petition too. What fun!! WW11: Maggie Thatcher: Bad EU rules but nobody knows any. We don’t like paying the golf club fees or sticking to some of the rules so we are leaving. So no more fees from us then, but we would still like you to let us use the clubhouse and access to the courses whenever we want if you don’t mind. Also we want to be able to bring our pals along if we wish. Oh! and of course those pesky rules on etiquette etc. will no longer apply in our case. Hope that is OK with you? but if it isn’t then of course, you will simply confirm everyone’s suspicion that you are the very baddest of baddies. Promotion of UK Exceptionalism Society (PUKES) (aka Westminster). Brexit bingo definitely needs including as a sub-field of the emerging new science of Brexitology. Here’s some Brexit related Social Psychology focusing on emotional reasoning. No swallows, laden or otherwise, were harmed in this study. In the second part of the paper, we use focus group data on the European Union referendum in the UK to empirically illustrate our theoretical points. We discuss in particular three axes for exploring the emergent politics of Brexit: political values, political authority, and the authority of affect. We conclude our discussion by reflecting on some of the theoretical and political implications of our analysis. I’m suggesting anything. I am pointing out that the Daily Record is presently giving us a fair balance which is highly significant.It is being much better to the SNP than it is to Labour. That may well be because it understands that half its readership supports independence and this is driven for commercial reasons. So be it. Or maybe you think gwe shouldn’t be looking for the media to change its position as the Record certainly has. Our enemies are now the Sun,the Mail and the Express. Or maybe you think we shouldn’t be looking for the media to change its position as the Record certainly has. Breeks, I love your post. Beautifully written. To all Wingers who just signed the petition supporting our English neighbours to have their own vote to leave the UK, you are brilliant. Was needing 900 votes to require a UK Govt answer. Now only needing 300 votes. Wow. The mood our English neighbours are in, they bloody well might just vote for Independence from EU Remain Brexit. 17,000,000 angry pro Brexit English folk would make a big dent in such a vote. Many would regard dumping the EU … AND getting rid of sweaty jocks a double win lol ??? That map of the English Indyref petition I just signed is looking very top heavy. Anyone want to have a bet on which will be the last English constituency to turn from grey to mustard? It seems to me that the Metro is quite even handed, at least when I pick it up, which is not every day. It is interesting to see that NW Wales have spotted the chance to help England find themselves. It is good to see how kind and supportive the lesser sorry smaller nations in this precious Union are. promoting the DR on this site is discourteous and disrespectful to what Stu has had to go through these last few days and since this scurrilous episode began. That would only sway the vote, and that jolly well wouldn’t be cricket! The chickenshit britnat surrender monkeys can’t bring themselves to do it.What a laughing stock. I reckon the S. Brits are early bedders. Wait till tomorrow and you will see the numbers soar. My brother-in-law is a leaver and leans towards Ukip. His opinion of dark skinned people can be described in two words, f******* P*****. I’ve signed the petition and dedicated it to him in recognition of his desire to free the lands south of the “Wall” from the sciving b****ds in the EU and them bl***y Scots. I heard him too on radio 5 early in the week saying he would use the fluence on the PM and thwart Brexit….only took him about two days. I think what Dave McEwan Hill is driving at, is that the Record is actually printing SNP/Indy positive articles in an environment which is largely read, dominated by NO readers. The effect is that Indy arguments are aired to potential waverers who would normally not receive it. Where May went wrong was right at the beginning of her premiership by failing to appreciate the closeness of the actual EUref result. %52 to 48% is the narrowest of victories and the only way to bring any harmony between both sets of supporters was to aim for the softest of Brexits. She choose the opposite and introduced red lines that totally destroyed any possibility of a Brexit that the MP’s and the public could accept. She is responsible along with any of the idiots advising her, she’s soon too learn the hard truth and that’s that her own party don’t take to failure kindly and she’s to be shown the door. Meantime we’ve a hectic 10 days or so to come. I reckon parliament TV might end up more watched than BBC1 LOL. Iain Duncan Smith on Newsnight tonight. Another very useful quote for the future. Bloody hell something I agree with a Tory on. Terminate the Treaty of Union now. It’s Scotlands sovereign right to do so. IDS says so – it must be right LOL. In my opinion, the next 2 weeks up to 12th April will be crucial for Scotland’s Independence. This might partly explain what is going on. The Britain we grew up in no longer exists, Brexitania is emergent. ….We conclude this discussion with a consideration of some of the political implications of our analysis. In the first axis above, we considered how political values unravel in an increasingly fragmented landscape where traditional ideological certainties are dissolving. In the example of our left?leaning focus group, we illustrated that the political left loses its status as an ideological anchor. In the face of uncertainty towards supporting, on the one hand, a cosmopolitan EU establishment (against the nationalism of Brexit) or, on the other, critiquing a neoliberal status quo (against the EU establishment), participants appeared uncertain as to what constitutes progressive political action. Given the entrenched dualism of the current political landscape (e.g., pro/anti EU; Remain/Leave), there is not much room left for developing alternative political voices that cut across these dualisms and that could challenge, for example, both the EU establishment and the narrow nationalism of Brexit. In this context where producing new progressive political visions appears difficult, existing progressive values lose their clout and can be appropriated for regressive purposes, such as calls against freedom of movement in Europe in the name of a “worldly” cosmopolitanism (see also Andreouli, 2018)…. Thanks for that link. I will definitely read and may even implement some or all of it. I certainly hold on to a grudge eg Clegg from the record, and phoney sneaky independence supporters for example. Is that wrong? A previously marginalised political identity has been molded and empowered by our media, that of white British victim resentment. Correction to my post at 1.22am. Westminster is a laughing stock around the world. A possible scenario is the Maybot asking for an extension to stay in the EU and EU saying no please just go. How embarrassing for the Tories would that be – very little impact on the Tories as they have the biggest brass necks and do not do shame etc. The Tory party – the party charged with Brexit means Brexit becomes Brexit means please please let me stay a little longer in the EU. Will the EU just say pissoff mad Tory brexiteers? HYUFD your party is a joke. And so the remain purge begins in Tory heartlands, Grieve lost a confidence vote by his local conservative association (campaign against him led by guy who stood for ukip in 2017, recruited by Tories after he served as regional organiser for Vote Leave) and may face deselection by his party. Right wing coup right enough. Grieve at least stuck to his principles, one of the less than a handful of them that have. What a gobshite of a party the Tories really are. 22 years in the same seat and they oust him. It’s getting dangerous in England. When moderate voices in the Tory party, especially intelligent ones, are treated this way. As i said before Daily Record are losing millions in lost sales , this blip in their printing more stories on seemingly positive pro Indy is a commercial decision, also as has been pointed out by some Wingers its a slap in the puss to Stu that they by their Dugdale piece tried to discredit this WoS site & dissuade people from reading WoS . Think on . & feel free to correct me did you not do something similar re the Bbc . There are grim warnings floating about Brexit causing the Good Friday Peace Agreement to falter through the Irish Backstop and resurrection of a Border would see the UK considered as responsible for breaking and internationally recognised Peace Treaty, which would potentially result in a downgrading of the UK to Outlaw State or Rogue State. You don’t flout International Peace treaties without any consequences. There are similar warnings that the UK defaulting on its £38billion divorce bill will see the UK taken to court, see it lose and be obliged to pay up, but also fined even more, and downgraded for integrity as a Nation which defaults on its obligations and doesn’t pay its debts. That would see the UK downgraded to somewhere between a Rogue State and a failing state, access to borrowing dries up and cost of borrowing sky rockets. You’re a “risk”. Then there is the UN finding the UK’s attitude to poverty and human rights deplorable, and deportation of people from the Chagos islands unlawful. Credible evidence of a Failing State if you choose to see it that way..
Then you look at Westminster. The centuries old anachronism which passes for a government, berating the EU for being toxically undemocratic, but blind to the hypocrisy of its own Queen and unelected Life peers in the House of Lords. The Government is at war with the Speaker, mired up to its neck in hypocrisy and cynical double standards, with so-called democracy reduced to a minority cabal of Eton gobshites bribing religious creationist bigots to dig their “nasty little right wing project” out of the shite… and even failing at that. There is a laughing stock Prime Minister whom they cannot depose for a year, who uses the threat of remaining in her post as the cudgel to beat dissenters who refuse to back her, and she will not abide a vote delivered three times, yet hold Scotland clapped in irons by a corrupt and tainted vote held once in over 300 years. 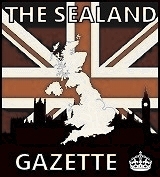 The “Government” condemned the Courts for interfering over Article 50, manipulated their Supreme Court to retrospectively interfere with Scottish legislation, and most recently, the Prime Minister sought to provoke and inflame antagonism between the elected government and the people. There is no independent media outside the state funded Propaganda channels. Europe is in despair that in nearly three years of trying, the UK still hasn’t presented a grown up with whom they can hold an adult conversation. Sovereignty is held by petulant children who cannot be reasoned with or circumvented, yet sensible Scotland who wants to stay in Europe is shut inside a soundproof box and excluded. Weapons of mass destruction? Tick. Threatened anybody with war lately? Tick, tick, tick. The international community isn’t just going to sanction the UK, they’re making ready to bring out a UK shaped straight-jacket. IF the SNP supported Common Market 2.0, I kinda doubt if EFTA with 15 million total population would really want to be taken over by the UK with over 4 times as much – 65 million. Which probably makes it safe for the SNP to support. But if it somehow managed it and meanwhile we got Independence I certainly wouldn’t want to join such a grossly lopsided EFTA, with us a total population without the rUK of 20 million compared to the rUK’s 60 million. We know how that works out for the minor regions of the bully UK. Time for Scotland to cut the rope and drop the dope. I’m not disputing any of that. I am merely pointing out that the Daily Record is NOW giving us good coverage unlike the Mail, Express, Sun, Herald, Scotsman, Courier, P&J which is obviously good for us as it is the second biggest seller in Scotland. I find it rather odd that you are having an issue with a conversion (for whatever reason) in our favour. Wouldn’t you be better having a go at the Sunday Herald which did the opposite journey. @ Ronnie Anderson – thx for the excellent link to Channel 4 item on the right wing infiltration of the Scottish fishing industry. Well said Ronnie! Sickening how some folk can be taken in that easily & even more sickening they have such short memories & feel the need to link directly to a rag that has done nothing but crap & pish all over Scotland & her people. 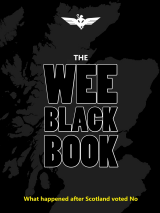 Lest certain folk forget, Scotland is in its current position due to all those BUM rags and especially in no small way to The Daily Record which has played a bigger part than most, if not all, of the other rags. There are still a handful of folk on here btl who’re hell-bent on repeatedly posting direct links to these BUM rags & i for one am being turned more & more away from it. I’ll never stop reading & learning from The Rev’s work but i’m fucked if i’m going to be bringing people to WOS just for those on here to encourage them to click on links to BUM rags & help them pull in advertising revenue etc. The destruction of the BritNat propaganda platforms, and the formation of a proper media for Scotland, can’t come quick enough for me. It’ll be arctic conditions in hell before i am taken in by BritNat rags or before i even accept them. If any BUM rag is “turning” then let it, let it turn & convince the readership it has remaining first of all. 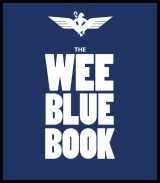 And let it declare very loudly & proudly its new devotion to Scottish independence, with a clear apology for what it previously did to Scotland & her electorate. Only then may i take it seriously. Meanwhile, i have no intentions of helping it stem the flow of losses it is experiencing. It brought every bit of it on itself by attempting to destroy our homeland, our country, Scotland. Absolutely tired of this utter determination of some folk on here to misunderstand the point I am making (or perhaps an inability to understand it). I am not suggesting that anybody buy the Daily Record (unless you want the best horse racing coverage) but I am pointing out that our continued success against a barrage against us across all the media is being registered by the Daily Record giving us decent coverage. That’s the way it works. We are winnin and they are representing that. One gets the impression that some people don’t want anyone to actually change their mind, so that they can sit cozy in their little grievance hole and feel righteous about it. And to hell with the (negative) consequences. The current problem with the DR in particular, though, was its loudhailing of the leak against Alex Salmond and its funding of Kezia’s defence against our Stu. You could say that the first was simply doing its journalistic job and the second standing by a correspondent when the Labour Party did a runner, but that’s two major strikes that are hard for many to ignore. We may have to wait until things settle down some, and see what – if any – change at the DR is substantive before we can properly pass judgement. But soon enough we are going to have to accept that even turncoat papers are our allies, for whatever reasons of their own, as the surest sign that we are close to winning. Or Balaaargh…………..Surely to f**k we can do BETTER than this…….or we can do BETTER than them…..actually…..maybe say… we can do BETTER by NOT being TOGETHER….and in small print…state…look what’s happened by us being Together when we could have done so much more if we were now apart ! The list goes on and on…..and Brexit offers the proof ! Yes, it’s part of the celtic nature to hold grudges, and one that’s stood in the way of all three main celtic nations, causing division, for centuries. 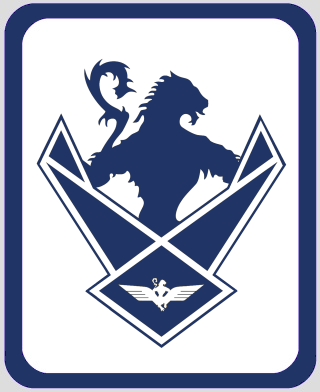 It’s getting past it is the problem, but neccessary if we are going to win Independence. But as for waiting till it settles down with the Record, that would be months, and Indy Ref 2 could be announced within days. Do we want an antagonised Record to do the same as it did in 2014, or do we want it neutral, or maybe on our side. I think it’s very close and should be encouraged, not dismissed with some childish grievance based acronym. Same for the Herald by the way, I often leave well alone as it’s really really not happy with Brexit and the Westminster Tories, and may be not a spit away from endorsing Indy as the only way out. If we have a large part of the Scottish MSM on our side, Indy is in the bag. That’s the stupidest thing I’ve ever heard. Brexit is Tory policy, Tories are under no obligation whatsoever to stop it. Labour campaigned for Remain.